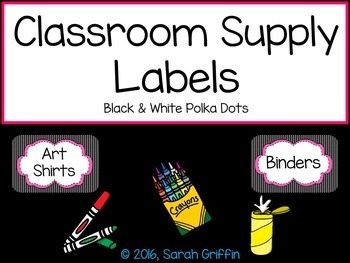 Organize your storage containers and supplies with these black and white polka dot, with pink detailing, classroom labels. 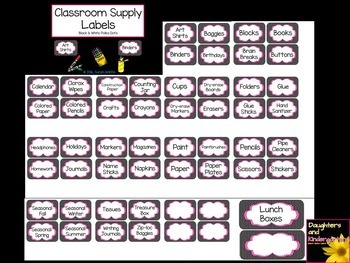 Supply labels measure 2.5"H X 3.5"W.
Perfect when preparing for back to school, and helping parents and students know where to place the new supplies. 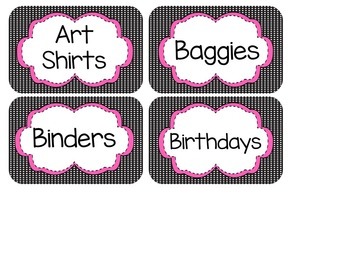 Blank labels in both sizes are included to print and write your own label if needed. Follow me to save 50% on new resources the first 24 hours. Simply click the green star under my name, at the top of the page, to get alerts on sales and new items. Thank you for visiting my store.